It’s National Banana Bread Day! 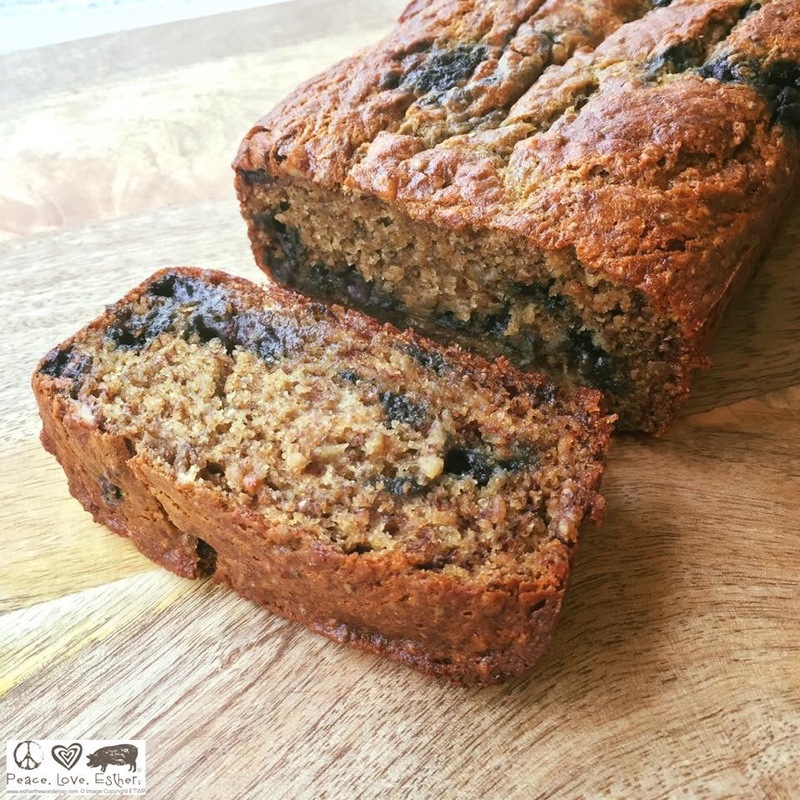 We are featuring Esther the Wonder Pig’s Blueberry Banana Bread made with organic blueberries, spelt flour and Tofutti Sour Supreme sour cream. You do not have to make separate chia eggs. Once your bananas are mashed, you add everything into the mixing bowl and stir until combined. Enjoy! 1. Preheat the oven to 350F. Spray a 9×5 bread loaf pan with cooking spray. 2. In a large mixing bowl, mash the bananas with a masher. 3. Combine the remaining ingredients with the bananas. Stir until the batter is combined and moist. If you over stir the bread, it will become dense. 4. Pour the batter into the prepared loaf pan. 6. Allow to cool and then slice.